I recently have to measure the actual headroom of every room in an architectural model, and copy this value in a room parameter. 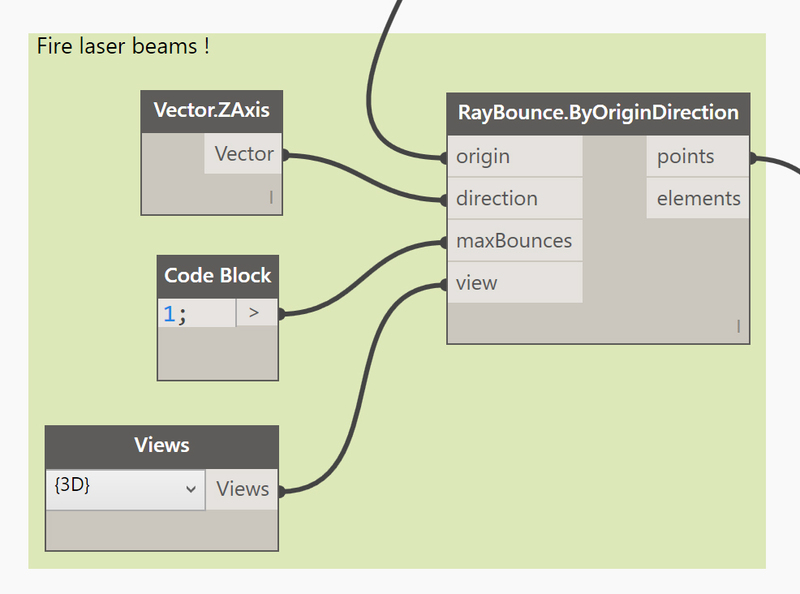 Instead of checking manually every room, I create a small Dynamo definition, based on the most underrated node in Dynamo, Raybounce. The Raybounce.ByOriginDirection is basically a laser rangefinder for Dynamo. It works with an origin point and a direction, and give in return the first intersecting element, along with the point of intersection. It is pretty powerful, and its uses range from basic measurements to advanced Line Of Sight Analysis. 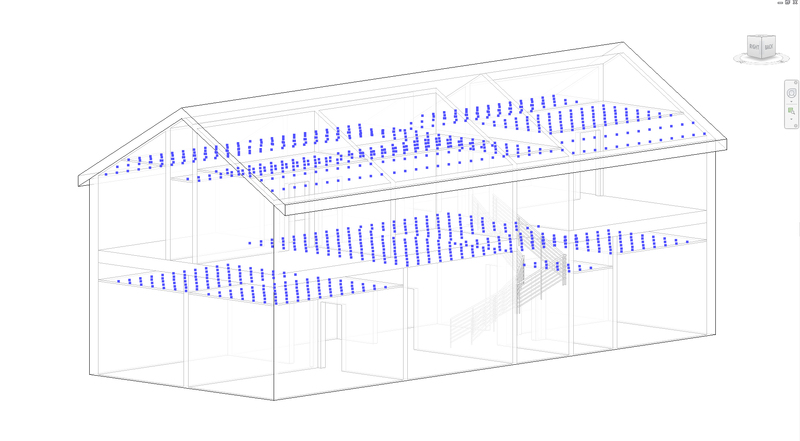 Using DynamoMEP, I retrieve every room in the model, and create a grid of points in each of them. 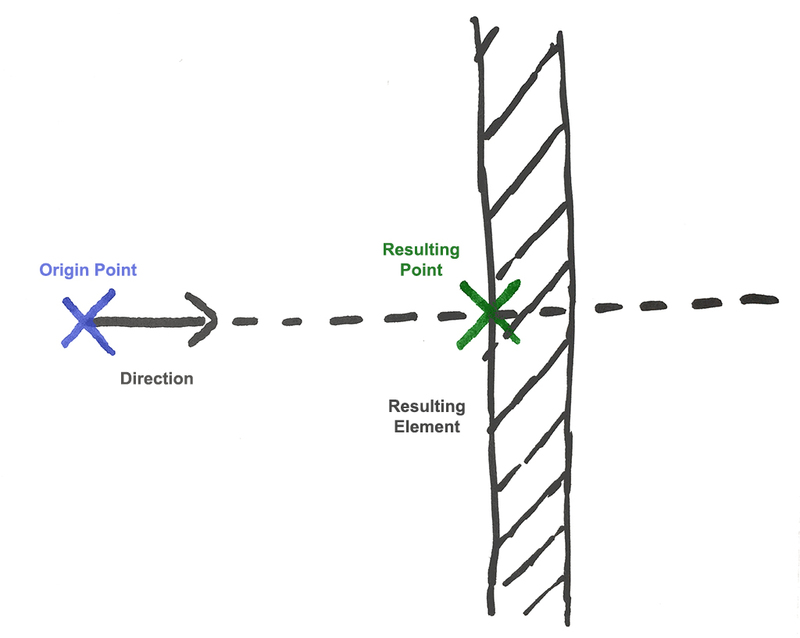 These points are arbitrary spaced 50 cm apart, and serve as origin points for my Raybounce node. Furthermore, in order to avoid that my laser beams hit the floor, I move my origin points 1 cm above the floor level. The Raybounce.ByOriginDirection use these points, a Z vector as a direction and a 3D view. Since only elements visible in this view will be detected, I hide doors and stairs to remove interferences with these elements. Along with the intersection point, the Raybounce.ByOriginDirection return the origin point that I filter out with a boolean mask. I also make use of the List.Map node to perform any kind of operation (Flatten, Sort … ) on the sublist containing the points while keeping them grouped by lists corresponding to the original rooms. I finally calculate the headroom height, and retrieve the shortest one for each room. I pass this value to the Limit Offset parameter of the corresponding room. Initially, every room’s Limit Offset is 2m. 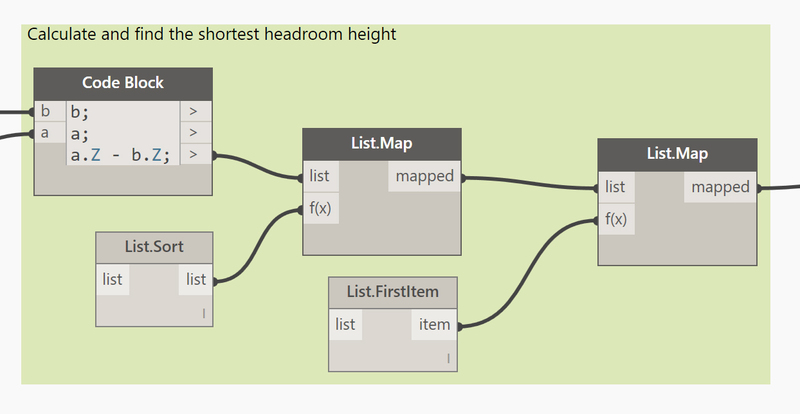 After running the Dynamo script, every Limit Offset is updated to reflect the actual minimum headroom in each room. Since we have a sloped roof, the minimum headroom is not necessarily the ceiling, but can be the lower part of the roof. Using the Raybounce node can be quite challenging, especially when it comes to sorting the resulting points, but it is totally worth the effort. You will find here the Dynamo definition, feel free to use it for your own project. 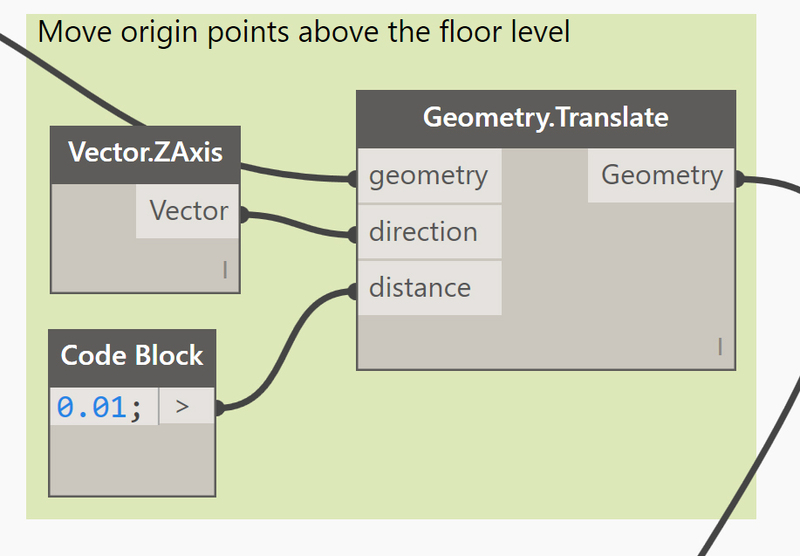 This was also the occasion for me to update DynamoMEP for Dynamo 1.0, and add a Grid function to create a nice array of point in a Room or a Space. As usual, you will find these updates in the Dynamo Package Manager.